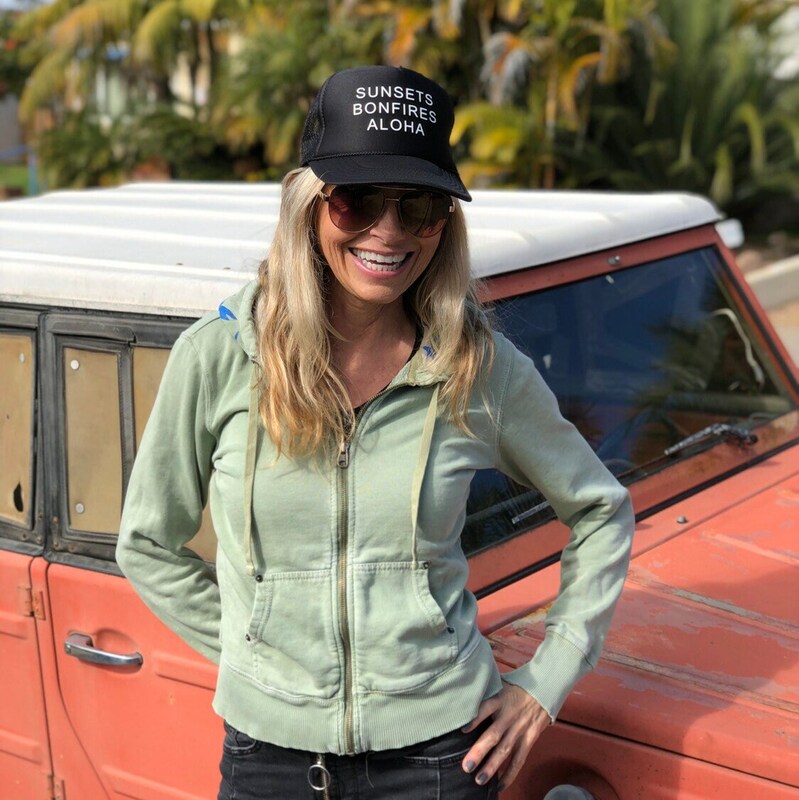 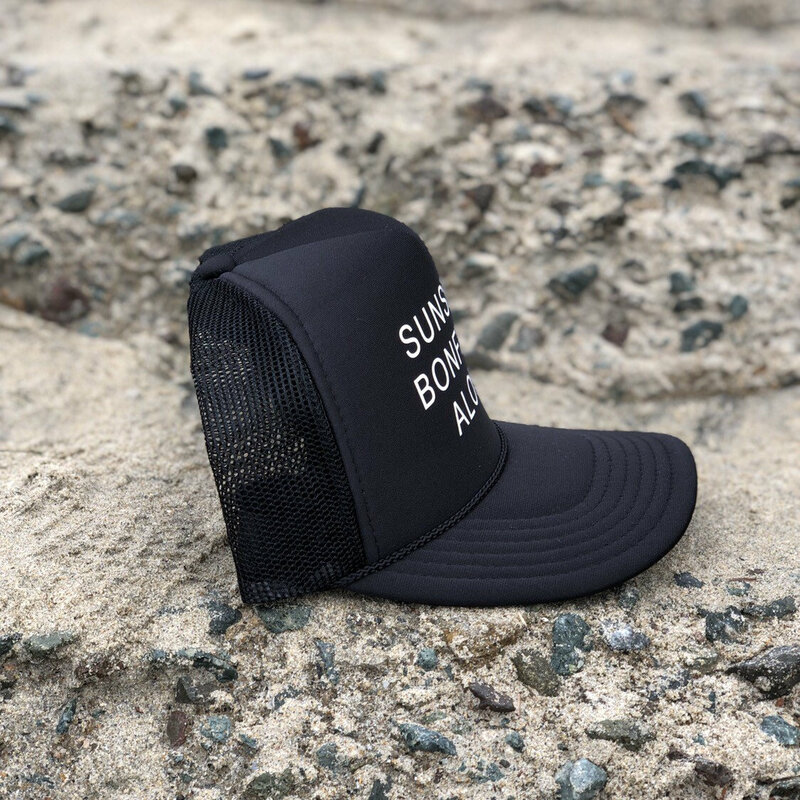 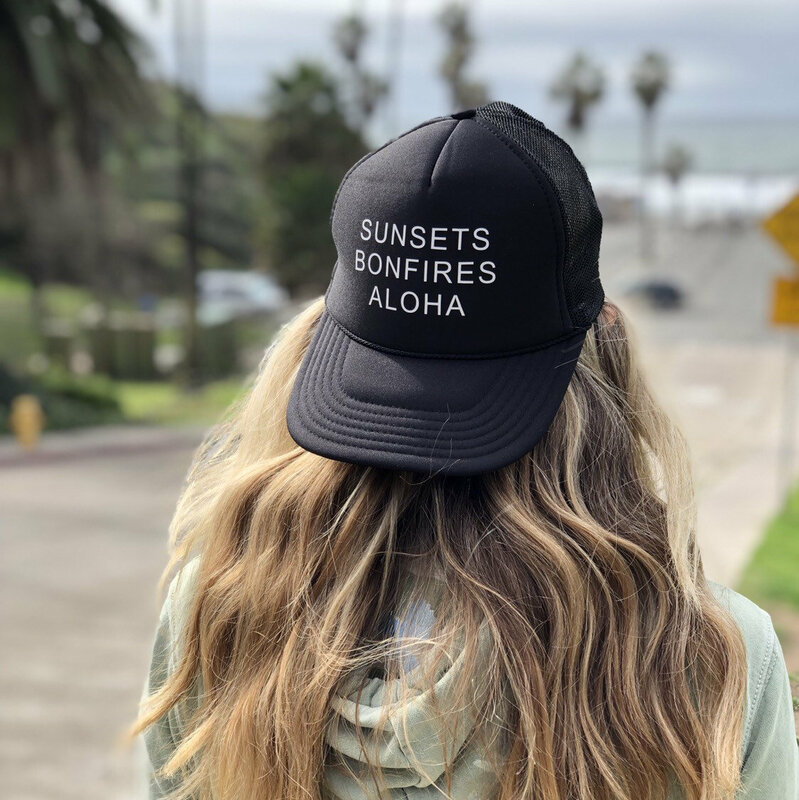 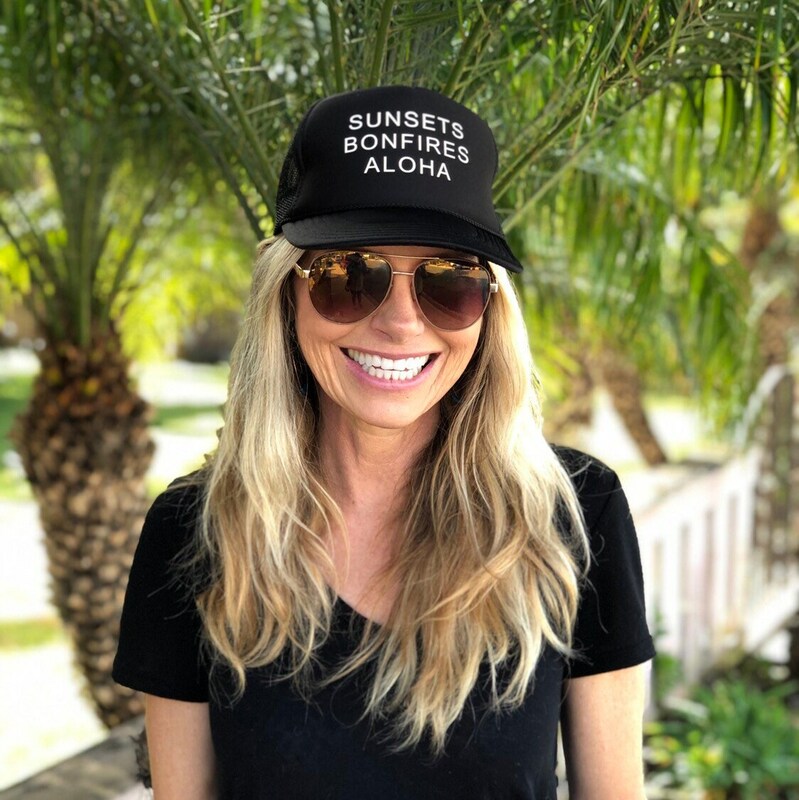 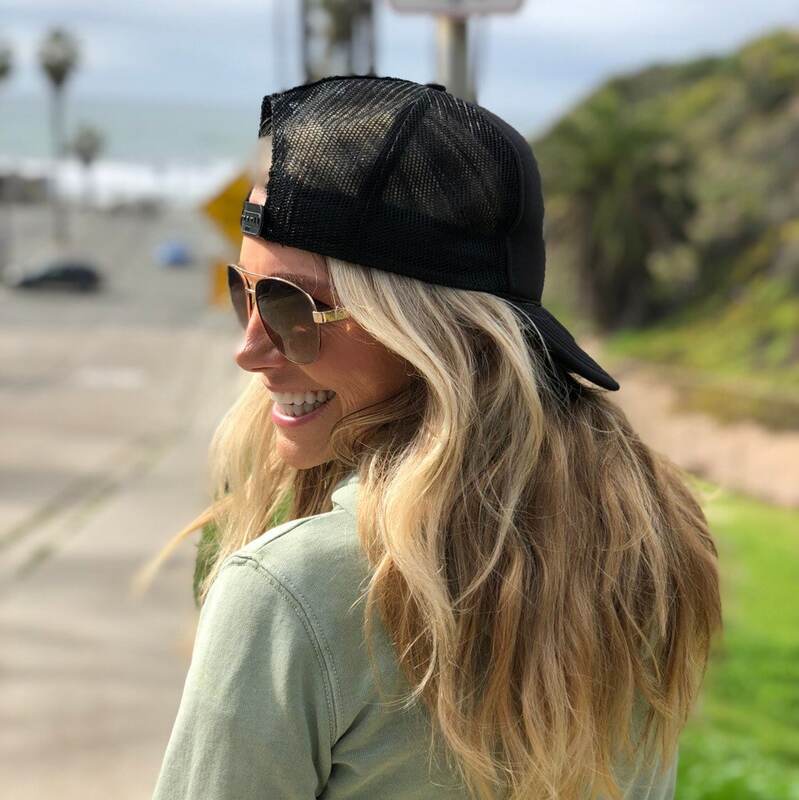 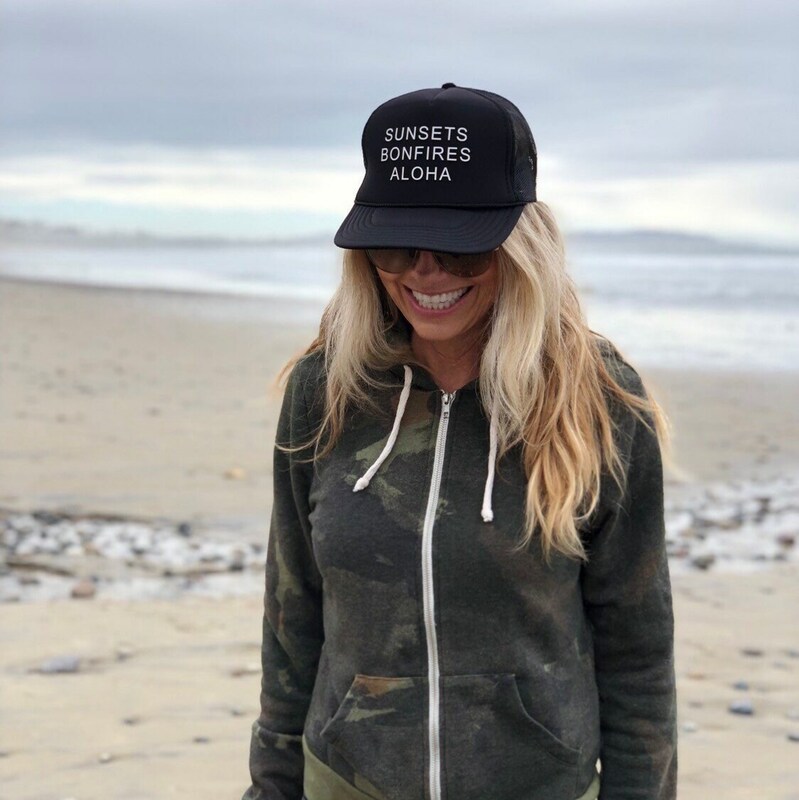 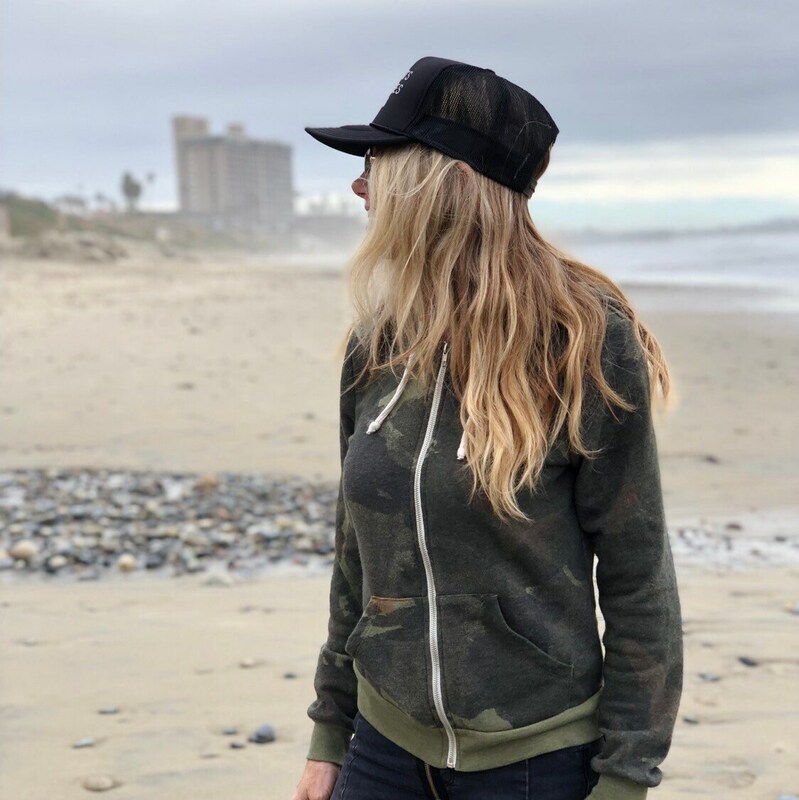 Sunsets Bonfires Aloha black foam trucker hat for women. 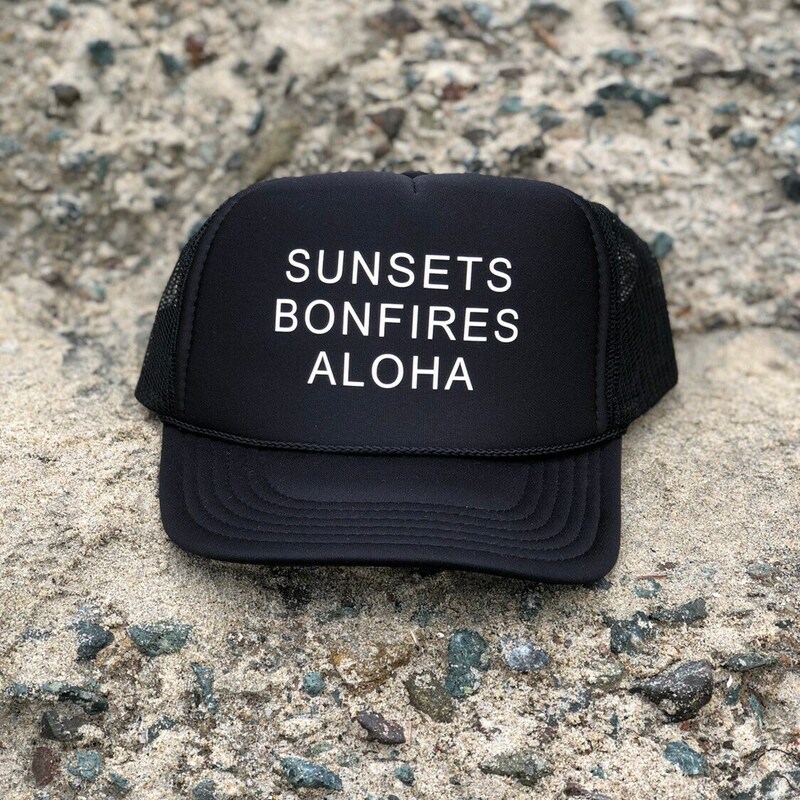 Sunsets bonfires and aloha are sounds of an endless summer. 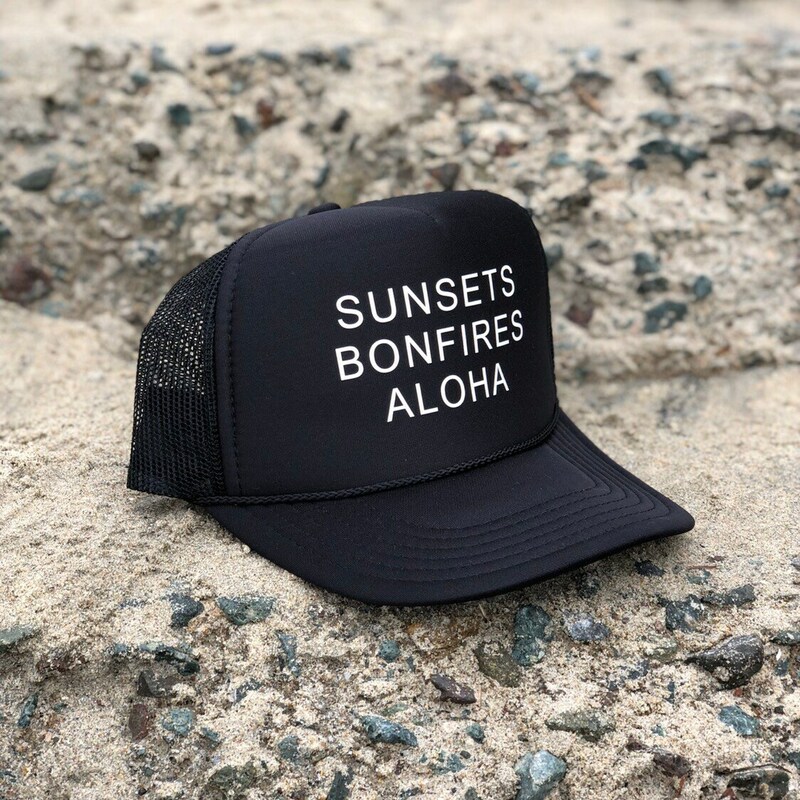 Warm summer nights surrounded by friends around a bonfire on the beach is epic.